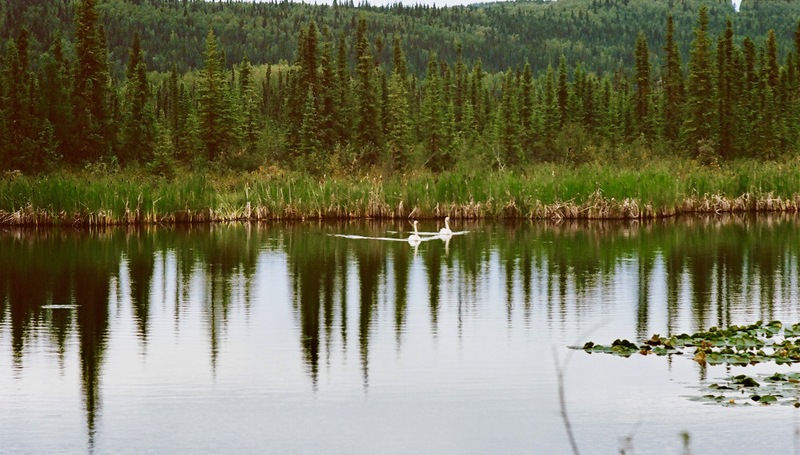 A pair of trumpeter swans are annual summer residents of the neighborhood. They nest off of a large shallow lake in the back forty, but usually arrive before the ice has gone out. For the first few weeks, they can be seen swimming in, what is really no more than a glorified puddle, until the lake thaws. 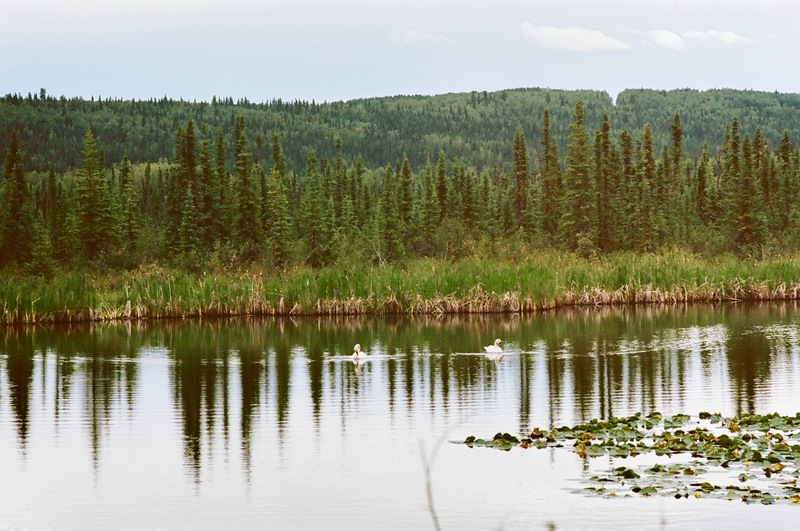 The swans are not often seen in this small pond near the cabins, but they do make an appearance or two every summer. This visit took place in August of 2018.